6th International Conference on Rhinology & Otology : Vydya Health - Find Providers, Products. 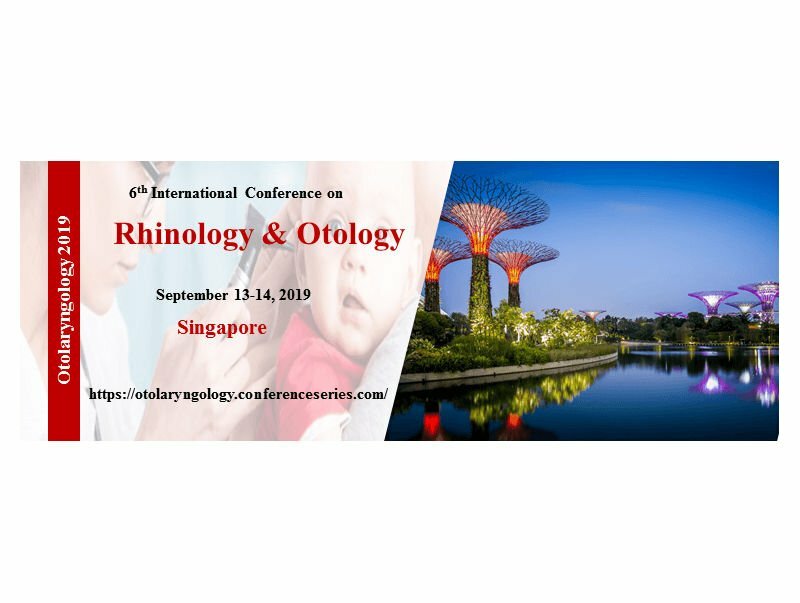 Otolaryngology 2019 invites all the participants from all over the world to attend “6th International conference on Rhinology and Otology” during September 13-14, 2019, Singapore which includes prompt keynote presentations, Oral talks, Poster presentations and Exhibitions. Otolaryngology 2019 aims to gather the specific societies and industry along with the renowned and honorable persons form top universities across the globe. Otolaryngology 2019 on behalf of its organizing Committee welcomes all the Otolaryngology researchers, industrialists, doctors, young scientists as well as student and corporate delegates to participate and to have a great experience. The theme of the conference “Briefing the medical revolution in the field of Rhinology and Otology”. During Otolaryngology conferences, the International symposiums, B2B meetings, international workshops will also be organized to discuss the specific topics in the field of Rhinology and Otology. Otolaryngology 2019 is an international platform for presenting research about diagnosis, prevention and management and exchanging ideas about it and thus, contributes to the dissemination of knowledge in Rhinology and Otology for the benefit of both the academia and business.